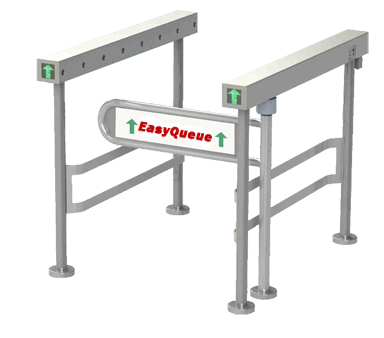 EasyQueue offers a complete family of conventional and high security gates, turnstiles, and related products. For more information on our new line of electronic security gates, CLICK HERE. 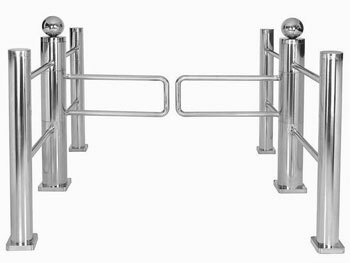 Turnstile gates are an entrance/exit security alternative to standard turnstiles. Used to control the flow of people in high traffic environments, gates in partnership with rail systems are effective at controlling movement and security. Design options include materials, mounting choices, socket choices, coatings and more. We manufacture completely custom rail systems to partner and coexist with our turnstile gate products. Don't hesitate to contact us with questions and design strategy solutions.